Compassionate Care Pregnancy Center collects certain information from our website users. 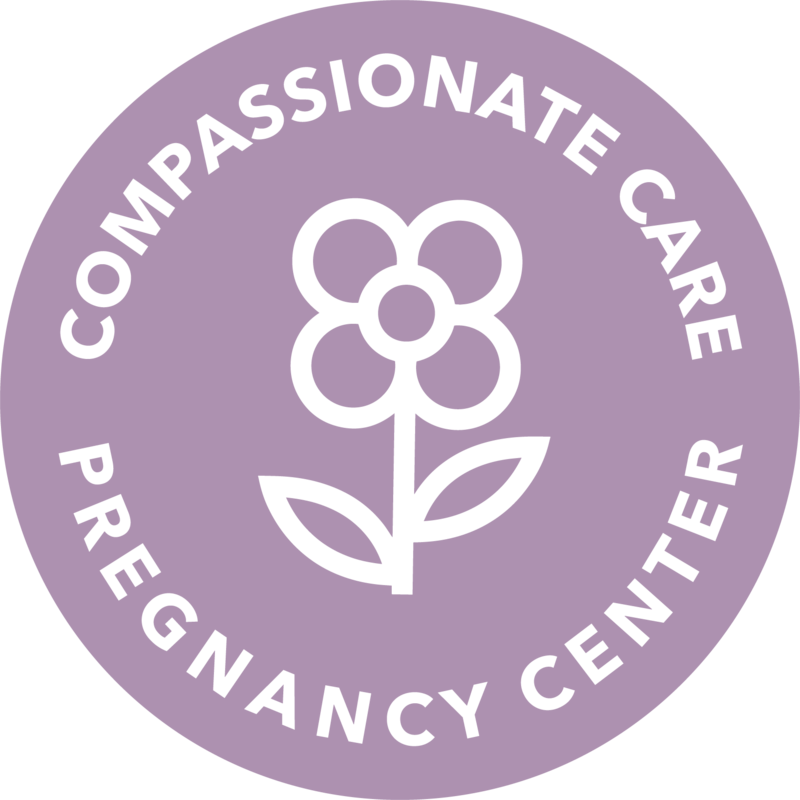 Compassionate Care Pregnancy Center is the sole owner of any and all information collected on[website]. Compassionate Care Pregnancy Center will never rent, sell, or lease your confidential information. However, legal reasons could necessitate the sharing of such information. Compassionate Care Pregnancy Center may share such information with Compassionate Care Pregnancy Center affiliates, partners, or contract organizations, or as legally necessary. We will strive to ensure the security of any information you provide. Compassionate Care Pregnancy Center will never collect personal information without your knowledge during your visit to our website. Any information that is requested will typically be in direct correlation to the services you are requesting. From time to time, Compassionate Care Pregnancy Center may ask for your personal input and suggestions related to your online experience. This information will remain confidential and will allow us to improve and enhance your online user experience. By providing such information, you consent to Compassionate Care Pregnancy Center’s use of such information to better serve you and others coming to our website. To use certain portions of this website, you will be asked to complete a profile information form and provide contact information (such as name, address and email address) and/or financial information (such as credit card information and expiration date). We use this information to provide certain website services, including the facilitation of online donations and resource purchase orders, keeping supporter and donor lists, maintaining statistics, providing you with Compassionate Care Pregnancy Center publications, and providing you with other information, education, and services. Financial information will be used solely to process donations and purchases. Compassionate Care Pregnancy Center uses log files. Log files are commonly used by most standard websites. Our log files are used to enhance your website experience, administer the website, and maintain statistics on website use. If you submit a user registration, Compassionate Care Pregnancy Center may occasionally send you information on resources, services, news, and other issues. If you register to receive a Compassionate Care Pregnancy Center publication, we will ask for your contact information to send you that publication. We respect your privacy and you may request for any such communication to be discontinued by deactivating your personal information. Please see the “correcting, deleting and deactivating personal information” section. Compassionate Care Pregnancy Center may, at its discretion, use third parties, including credit card processing companies and other businesses, to assist in processing and shipping resource orders and in facilitating online donations. Compassionate Care Pregnancy Center may also use third parties to assist in providing website services. Any third party used in this manner does not have the authority to share, sell, rent, lease or use your personal information for any secondary purposes. Compassionate Care Pregnancy Center maintains the right to monitor and censor the content of postings within our online affiliate forum and any other forum. Compassionate Care Pregnancy Center cannot, however, ensure privacy for any personal information that is disclosed online in such a forum. Any information you provide in such a forum will be publicly accessible and could be collected and used by others. Compassionate Care Pregnancy Center strictly prohibits and is not liable for breaches of confidentiality that make take place within its forums. Compassionate Care Pregnancy Center will fully accommodate requests from authorities related to the content of illegal postings. All transactions accomplished through this website are secured using a SSL encryption to protect sensitive data transmissions from your computer to our website. Compassionate Care Pregnancy Center also uses password protection to secure personal information. Compassionate Care Pregnancy Center may use software to verify your address to avoid session hijacking hacking attempts or other attacks. You may access, adjust, remove your personal information, or deactivate your user registration or account by contacting Compassionate Care Pregnancy Center at [phone]. Compassionate Care Pregnancy Center maintains the right to adjust or change these Terms and Conditions at any time and asks that you check this policy for updates.